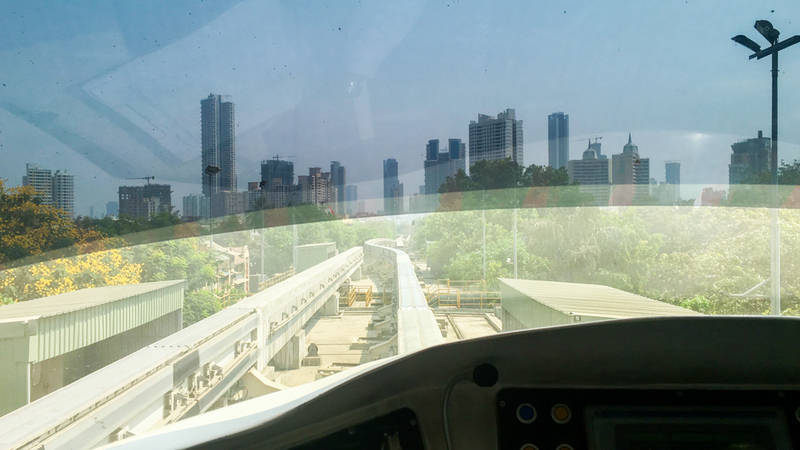 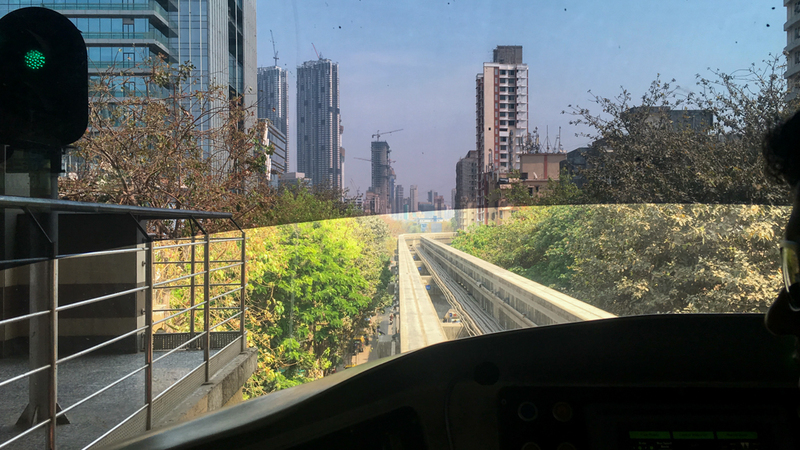 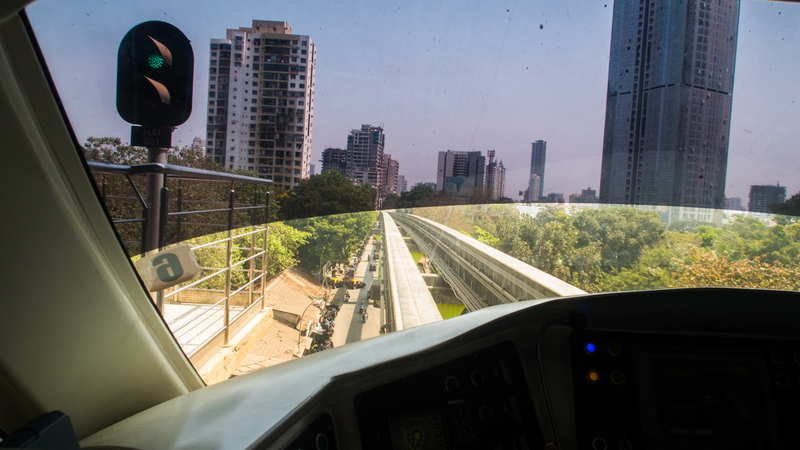 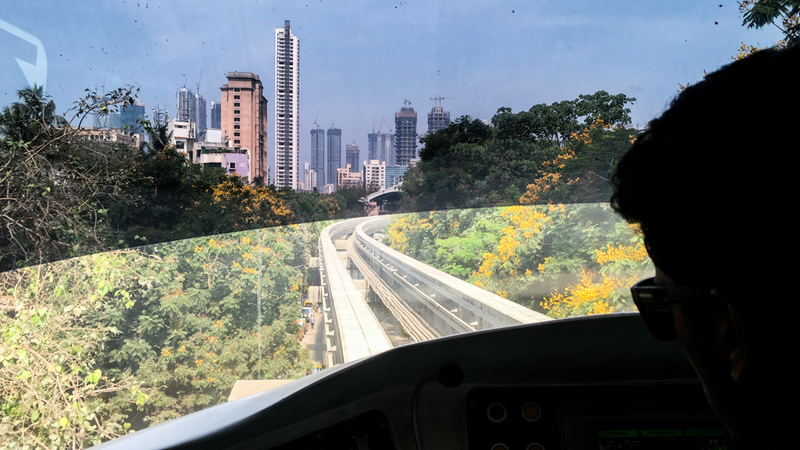 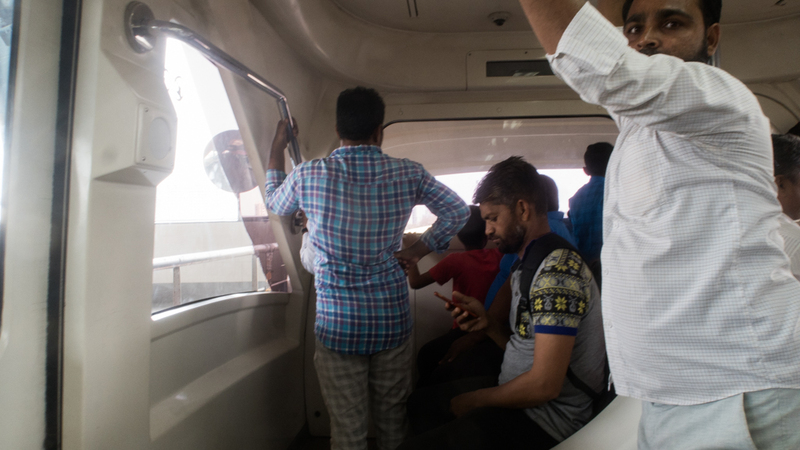 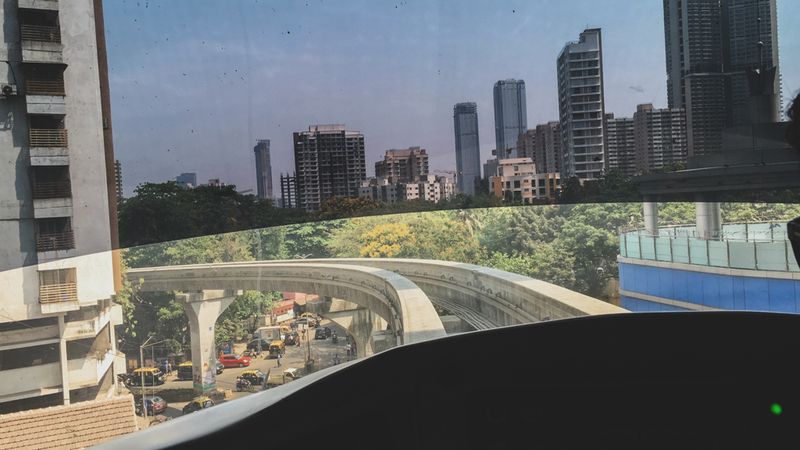 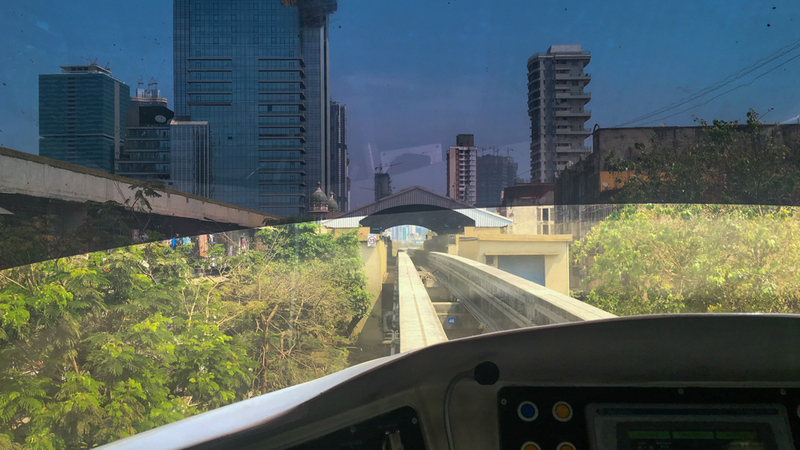 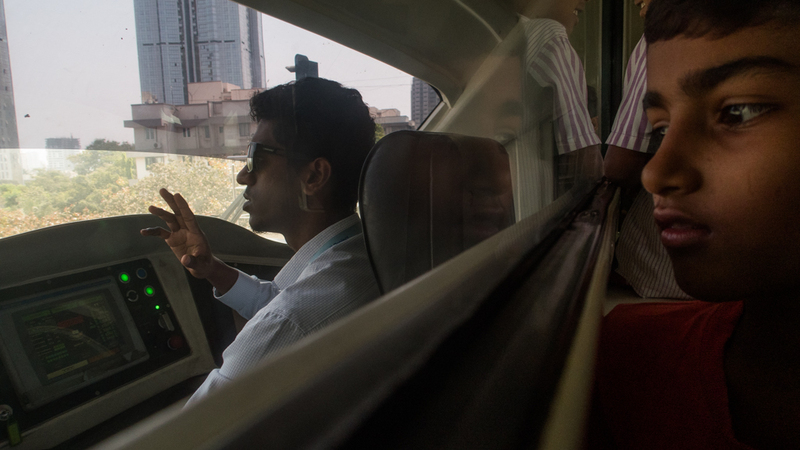 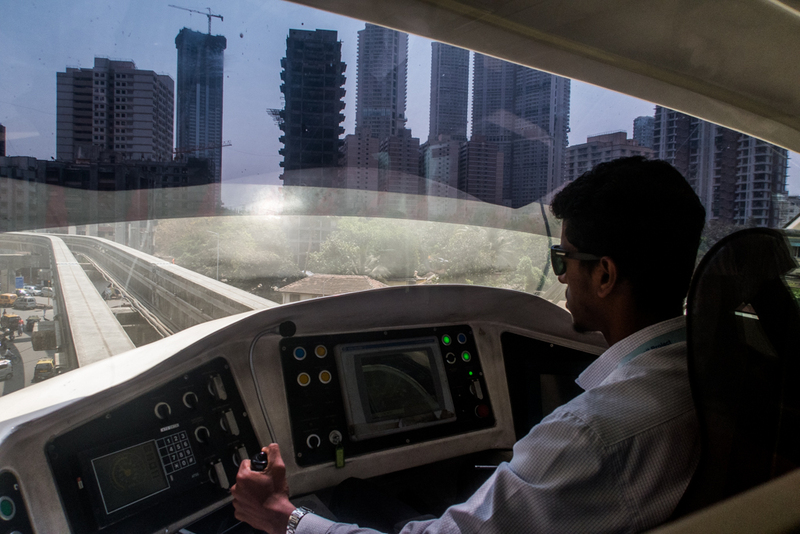 I finally took the Mumbai Monorail, the poor cousin of all public transport systems in the city. 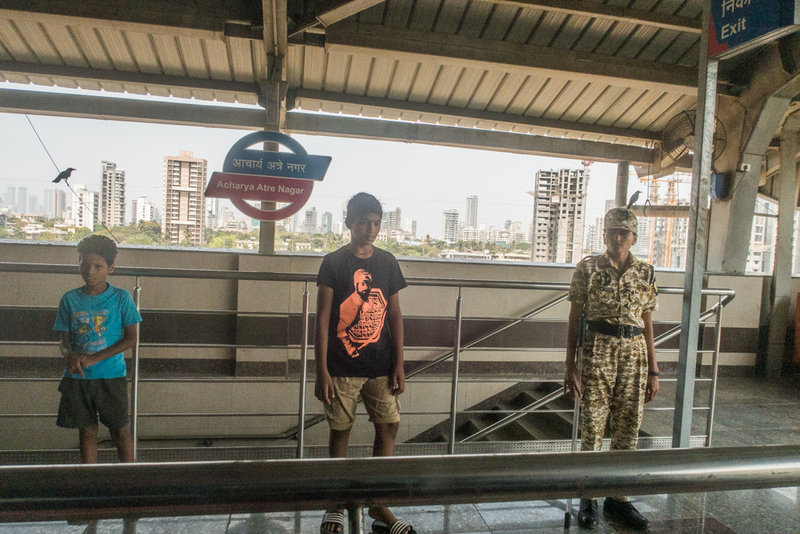 After a long wait. 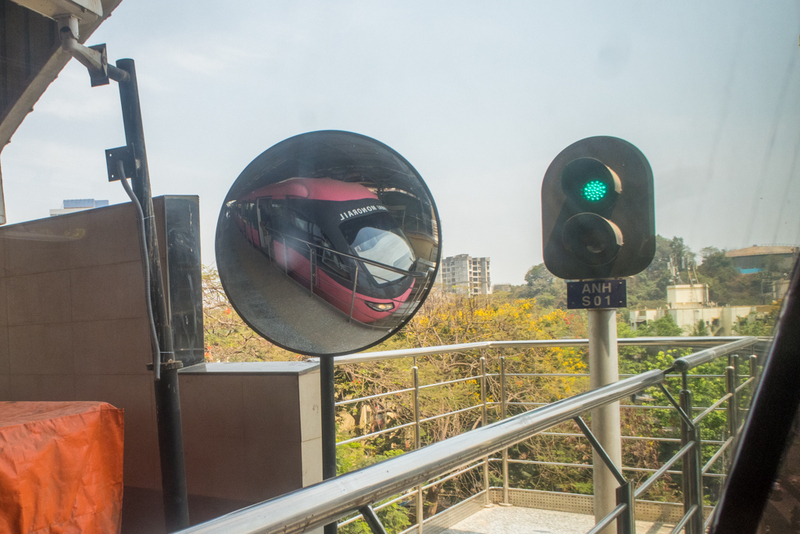 the public transport system that connects Chembur and Mahalaxmi was opened recently on a Sunday that also happens to be Ambedkar Jayanti. 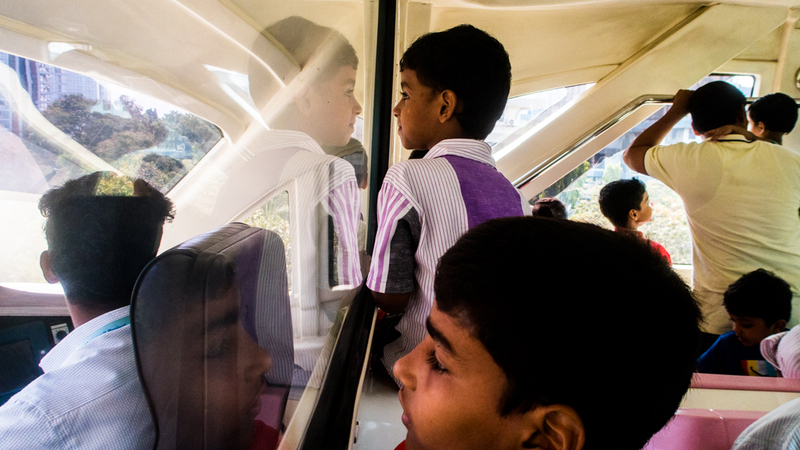 It was filled with exciting boys and a few girls. 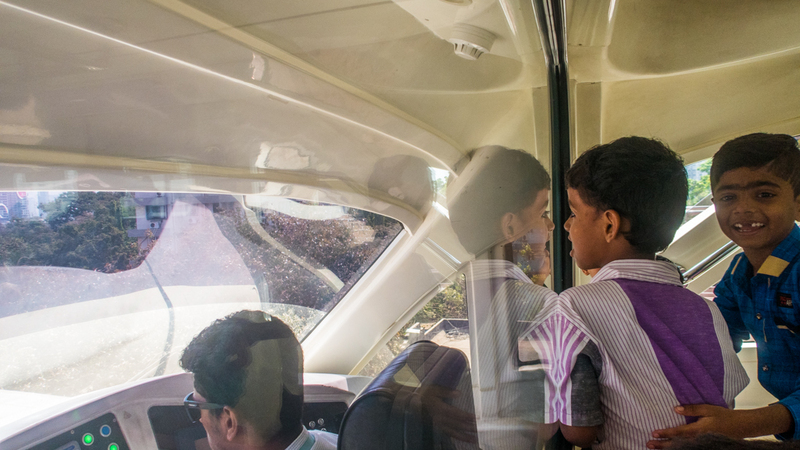 I was happy to be part of the boys, enjoying the ride. 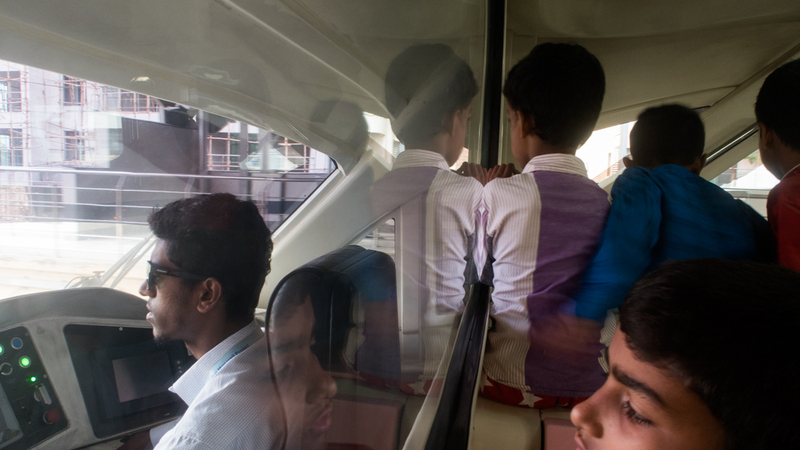 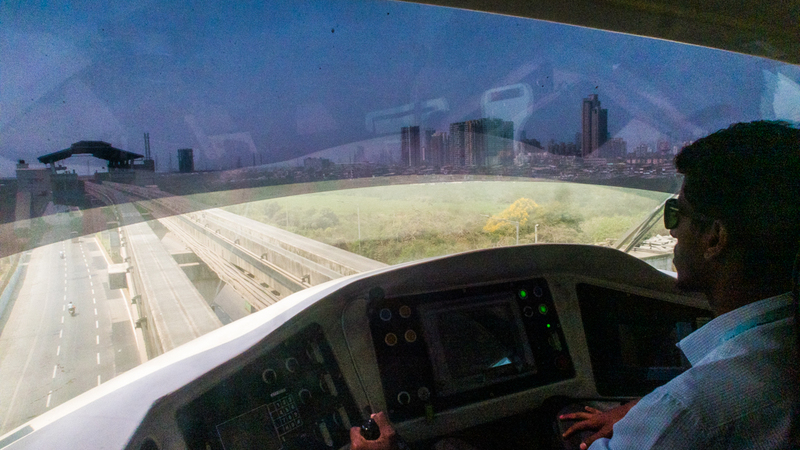 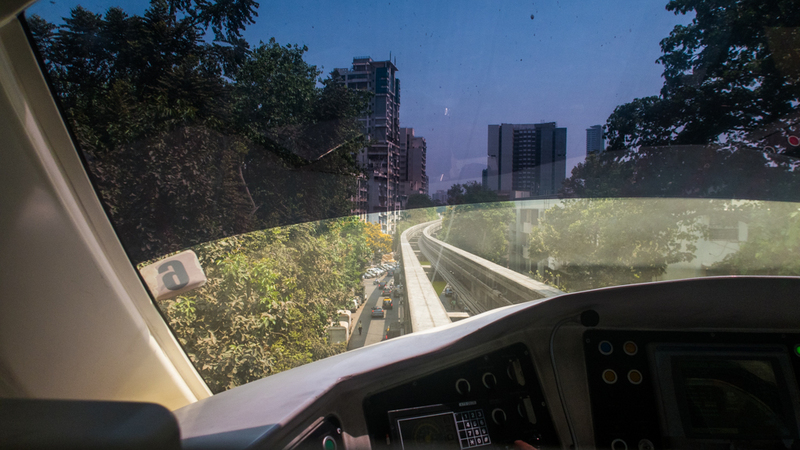 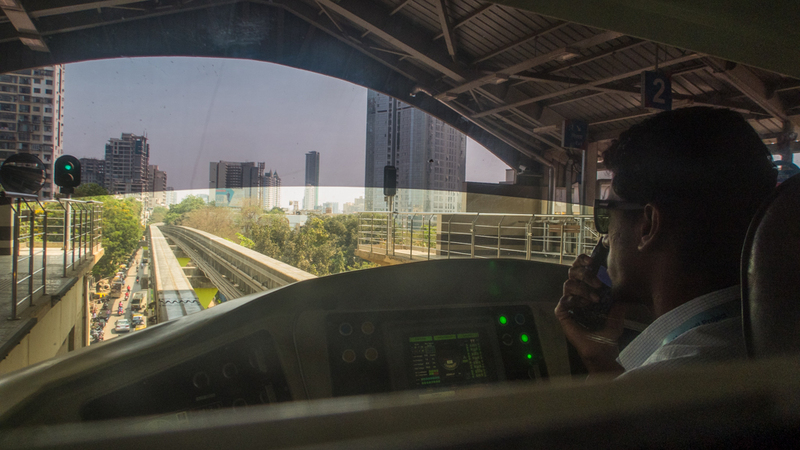 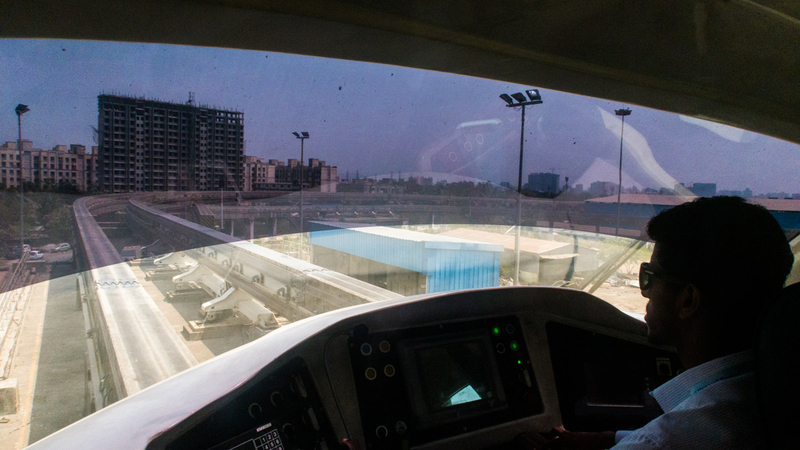 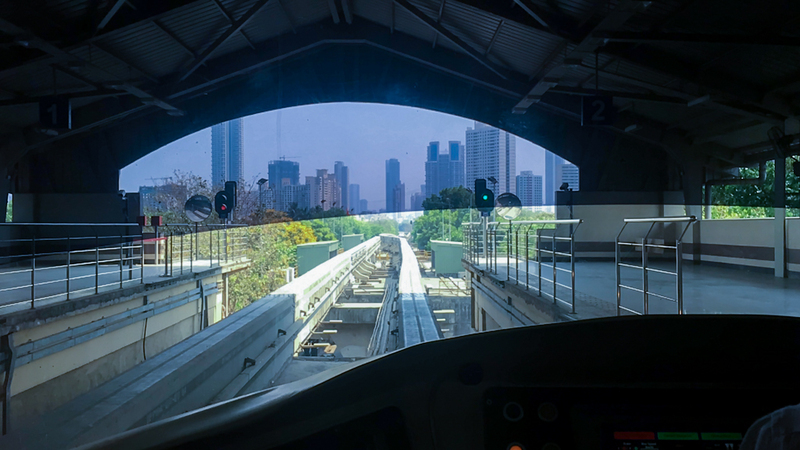 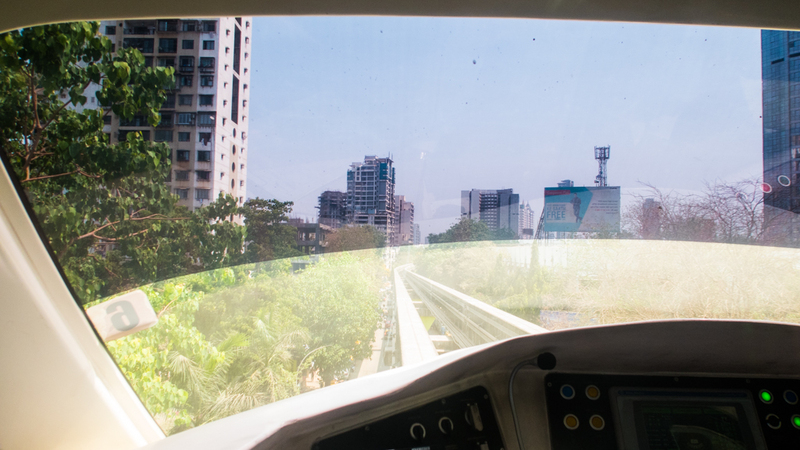 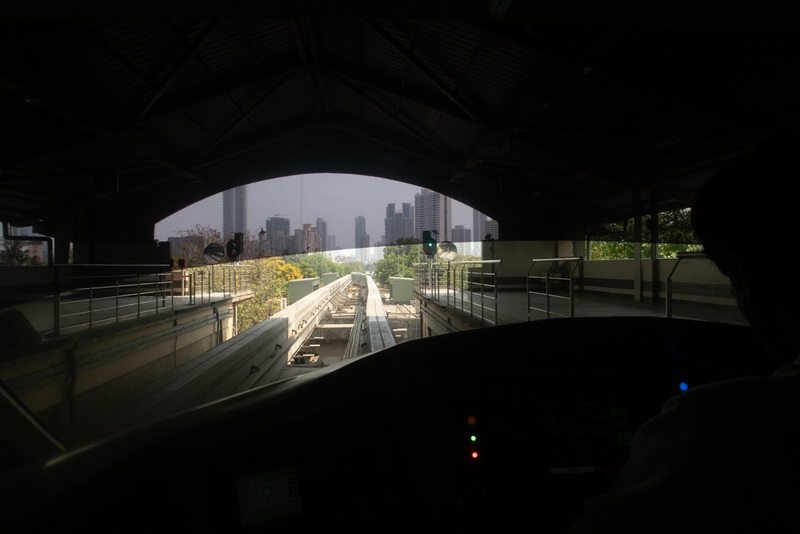 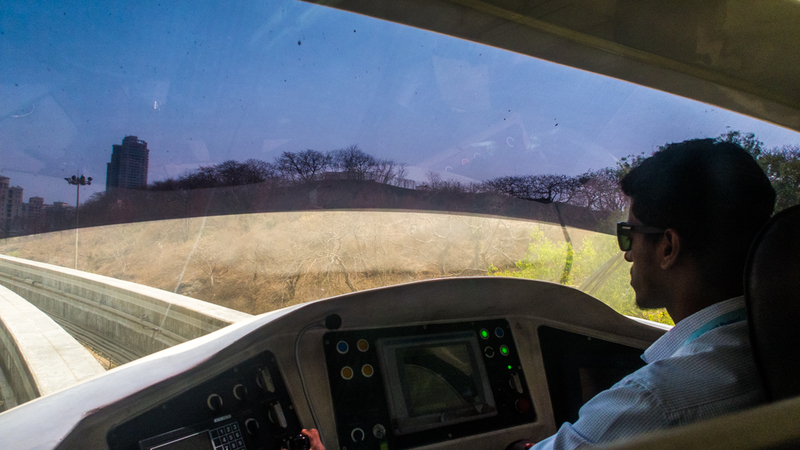 The most beautiful part of the monorail is that we can sit right behind the driver and watch the journey unfold.